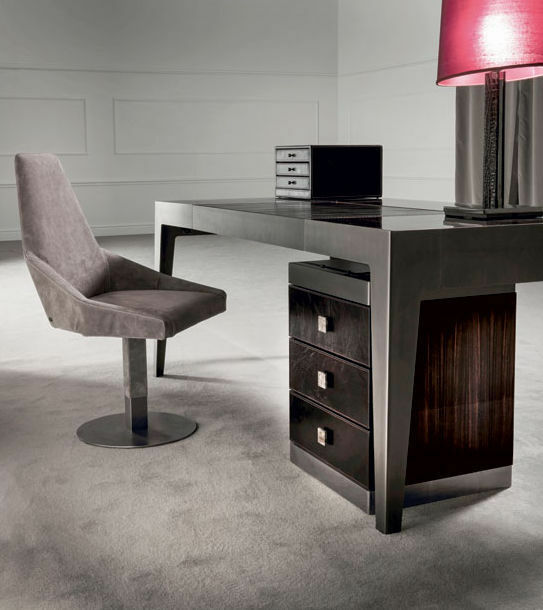 Walnut desk / ebony / metal / leather - GORKY T 106 by Giuseppe Viganò - LONGHI S.p.a.
Furniture > Table > Walnut desk > LONGHI S.p.a.
GORKY T 106 by Giuseppe Viganò LONGHI S.p.a. Ground metal desk with drawer. Insert in leather from the catalogue. 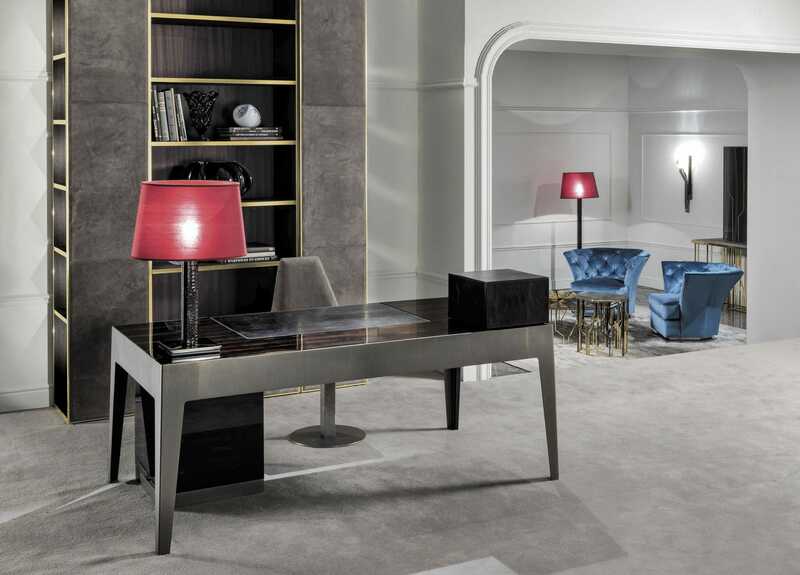 Frame finishes: bright light gold, Champagne matt gold, bright chrome, bright black chrome, matt satined bronze. 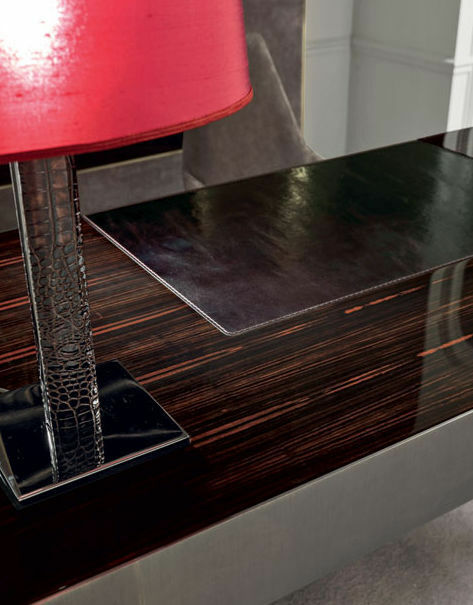 Top finishes: glossy ebony, glossy Canaletto walnut, matt ebony, matt Canaletto walnut, glossy lacquered ivory. 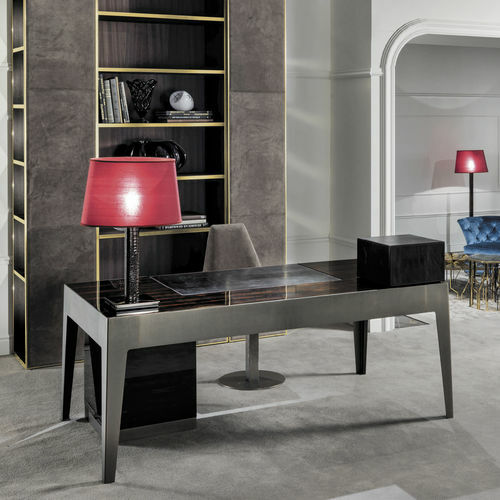 Accessories and optionals: chest of drawers in glossy/matt ebony, glossy/matt Canaletto walnut or glossy ivory lacquer with edges in bright light gold, bright chrome, bright black chrome and matt satin bronze. Fronts covered. 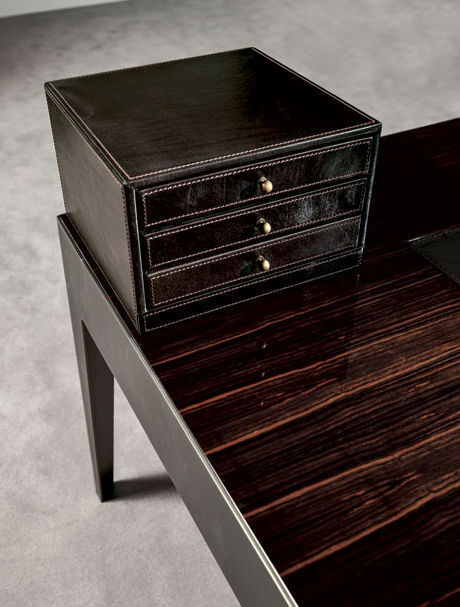 mini chest of drawers covered only in leather from the catalogue.